I'm quite glad that "Audiobook" begins with an "A" because it is one of my favorite reading formats. I think it is safe to say that it's rather popular to humanity in general. If you know anything at all about storytelling, it all goes back to the oral story. It is one of the most important factors in the continuation of historical facts, religion, moral lessons, communication, entertainment, etc. It's been around for millenia and is still just as important. I began reading at a young age, so I went a long time without the joy of the spoken word. Sure, various teachers would read assigned stories to the class, but I would tune them out and read ahead. I enjoyed going poetry readings, plays, and other live theater (which are also a form of the spoken word), but I never paid too much attention to the significance of vocal sharing. I suppose I can thank my friend Kirk for being introduced to audiobooks. I had always seen them at the bookstore when I worked there, but I wrote them off as tools for the elderly, blind, and illiterate. Kirk told me about the Southern Vampire Mysteries by Charlaine Harris (set in my area! ), but I never had time to read as a single mom who was going to school full time. I had to study in any spare time that I had. He suggested I try to listen to them in the car and loaned me the first five. I was immediately hooked. It was not just the story that was so wonderful, but the manner in which it was told. Johanna Parker is a masterful voice actress whose narration made the characters easily distinguishable. I was in love. Countless more audiobooks followed over the years (The Hobbit's American NPR dramatization is fantastic! ), I found myself choosing to go the audiobook route for classics that I knew I would never get around to reading. Most notably, I downloaded 1984, which gave me a complex (the rat, oh god, the rat!). I knew that I would not get a chance to revisit A Wrinkle in Time, so I listened to the version narrated by the author, Madeleine L'Engle. I seriously could listen to that every day. I plan to listen to it annually. Eventually, I found myself choosing to go the audiobook route for Hammered by Kevin Hearne. (Did you really think I would skip an opportunity to talk about the Master of Awesome?) I had received a signed, personalized copy from Kevin that was so dear to my heart that I was afraid to touch it. I also wanted a voice for Atticus in my mind for fantasy purposes. (Don't judge me.) To say this book was spoken amazingly does it no credit. Luke Daniels and Kevin Hearne opened my eyes to the spoken word on such a deeper level with this book. In writing it, Kevin showed the importance of bonding over stories among companions. Luke made the stories magical in how he told them. As I listened to this book, it really hit me how critical it was to the development of humanity and civilization to sit together and share knowledge and legend in an entertaining fashion. It brings people together. Talking, laughing, and sharing with one another is what makes us who we are. Even though the voice actor(s) is only speaking without his/her audience present, it still creates an extra dimension for the words and the stories feel like a gift. It is one that I have learned to treasure. My A to Z Master List! I've never thought to listen to Charlotte's Web! I never read the book as a child because the movie devastated me, but maybe I could handle it now. Thanks for the encouraging words and stopping by! I have an on-off relationship with Audiobooks. I LOVE them but I rarely have uninterrupted time to listen - I commute with a colleague and Mr. Kat gets frustrated when I listen to them at home because I can't listen to him! 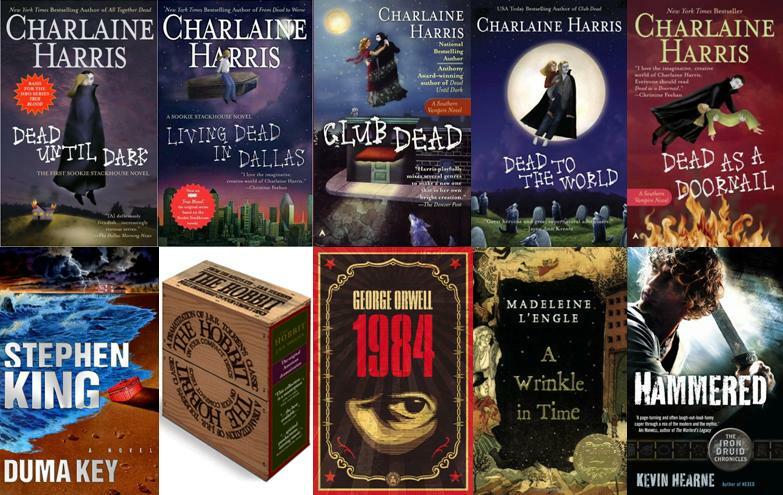 My favourite ones are The Chosen One by Carol Lynch Williams and The L-Shaped Room by Lynn Reid Banks. Great way to start the challenge! I haven't ventured into the audiobook realm, yet. Thanks for stopping by my blog! Oh, man. I just checked out one A to Z blogger who is doing movie reviews. Now I want to listen to The Hobbit. Of course, I won't have a spare second for anything except writing during April. Such torture! Good luck on the challenge - we have one letter down and 25 to go! What an awesome experience you had! --Audio books are especially great when the actor gives it life. I use audio books for the convenience (I can listen to a book while I do my house chores). I like Playaways for the portability but unfortunately very limited to selection in the library. I always thought it would be fun, as an author, to do the audiobook version of your own stuff. I've never read via an audiobook. Heck, I just bought my first e-book 2 weeks ago. I'm an old-fashioned kinda girl. Like I tell my daughter - try it, you like it! I like audiobooks on a long trip, but even then it drives me crazy to have to stop, because I know that I won't listen to it again until the next long trip! It's just one of my (many?) quirks! This is such a flipp'n cool post. I went through an audiobook phase. I haven't in a while, but every now and then, I take a look and see what's available. :) New Follower now.